WASHINGTON — The embattled president and CEO of the U.S. Hispanic Chamber of Commerce, Javier Palomarez, resigned after being accused of sexual and financial improprieties. The chamber's board announced Palomarez's resignation late Monday in a statement that was not widely circulated to media. “After much deliberation and careful consideration for the future of the USHCC, Mr. Palomarez and the board of directors have mutually agreed to undergo a leadership transition for the organization effective immediately," the board statement said. The statement avoided the issues that forced Palomarez to step aside. The board had been investigating accusations that Palomarez had improperly padded his salary, as well as questions about other compensation. The board began investigating the financial issues after former board chair Nina Vaca had flagged them and brought them to the board's attention. Allegations of sexual harassment also had been raised. The New York Times reported that Palomarez was accused by his former chief of staff Gissel Gazek Nicholas of trying to kiss her. The newspaper said her allegation was corroborated by an email to a friend and a friend she confided in. Palomarez has denied the allegations of financial impropriety or sexual harassment. In a statement to NBC News, Gazek Nicholas said the USHCC had taken a "bold step forward and away from the leadership of Javier Palomarez." "While the USHCC accomplished a great deal under his leadership, it came at a high cost to me personally, and, I believe, to the organization as well," she stated. "I wish the Board and staff a smooth and successful transition to new leadership and trust that it will continue to fulfill its mission in representing the Hispanic business community, as it has for the last 39 years." The chamber board's statement quoted Palomarez saying he was proud of his tenure at USHCC and said he'd be working with the board to put in a new leadership team. His resignation brings to an end his nine years as president and CEO, during which time the chamber's profile was elevated and the chamber took a historic step in making its first presidential endorsement, which went to Hillary Clinton in 2016. But the chamber's reputation was tarnished after the election when Palomarez began meeting with Trump administration officials and defending and supporting some of Trump's agenda. Palomarez eventually resigned when Trump ended the Deferred Action for Childhood Arrivals, DACA, program. 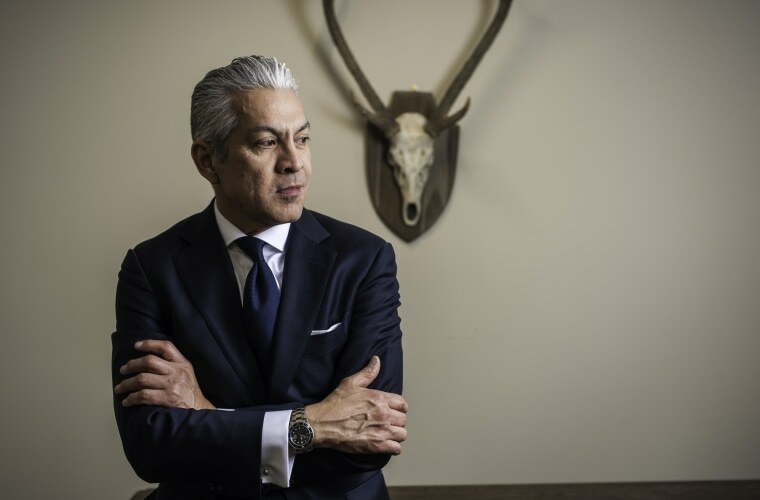 In statements issued before the resignation, Palomarez had said he had had an affair with one of his board members and that the board member began a retaliatory effort to have him kicked out of his job at the chamber because he had ended the affair. Palomarez had filed a court document seeking Vaca's deposition on her communications with the board and his belief that she was trying to have him terminated. Vaca's attorney Brent Walker had said in a statement to NBC News that Palomarez was trying to "deflect the investigation" by "suggesting they are the result of some supposed, personal relationship." "Mr. Palomarez is being investigated for financial improprieties. That is a fact," stated Walker. Palomarez's resignation comes as the board of the League of United Latin American Citizens, the nation's oldest civil rights organization, has demanded the resignation of its president, Roger Rocha Jr.
Rocha wrote a letter to President Donald Trump supporting the Trump's immigration proposals, which LULAC members do not support. Rocha has not yet resigned, but is expected to at the end of the week or face impeachment by the board.